Jack Calpis was born on 4 September 1931 in Surry Hills, son of Paraskeve and Nicholas Calpis. On 13 October 1974 he married Dessie Argyropoulos; they had no children. He died in February 2016. Jack Calpis was educated at Crown Street School and spent all his life in the same Surry Hills terrace house. He did an apprenticeship as a fitter and turner, and then became a real estate agent. He was actively involved in the welfare of the working class people of his district. In 1986 he joined Actors Equity and played a Greek inspector investigating airport security. 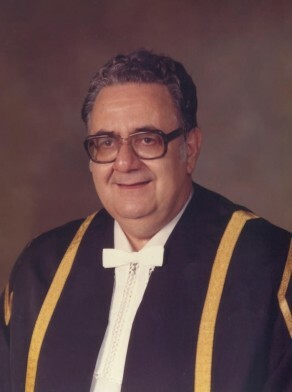 Jack Calpis was Alderman for Phillip Ward, 27 September 1969 to 16 September 1977, and for Macquarie Ward, 17 September 1977 to 26 March 1987 when the Council was replaced by a Commission. He was a member of the Works Committee, 1969-79; the City Development Committee, 1969-77; the Community Services Committee, 1978 and 1982; the City Health Committee, 1978; the City Planning Committee, 1979; the Properties Committee, 1982 and 1984; the Works and Housing Committee, 1984; the Building and Development Committee, 1985-86; and the Properties, Housing and Works Committee, 1985-86. Calpis was Deputy Lord Mayor in 1981 and 1984. He was Deputy member of the Traffic Authority of NSW, 1977-84; Councillor of the Sydney County Council, 1980-84; and a member of the Sydney Cove Redevelopment Authority, 1980-81. City of Sydney Archives: Aldermen’s Files; Photo: CRS 69/112/103 and AF.